Thinking Child aims to produce creative resources and training opportunities for colleagues, children and parents. 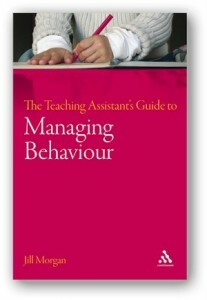 They have generously provided TA Focus with helpful guides for Teaching Assistants. Please read, share and give us any feedback on further topics you would like to know more about. How many of these have come out of your mouth this week? Children need to really understand what ‘good listening’ is and although it takes a bit of time to ‘train’ children to be better listeners, I believe it is time well spent and will pay off in the end. The impact on behaviour is really noticeable. Here are a few suggestions for activities to use with children to get them to think, discuss and understand what listening is. What’s the difference between hearing, noticing, and listening? Are there any other words that we sometimes use for listening – eavesdropping, snooping, being nosy, detecting.Write the words ‘LISTENING, NOTICING, HEARING’ on some cards. Ask children to say which is the odd one out and why. Ask children to come up with their own definition of what Listening is. Put children into pairs and ask them to talk to each other for 30 seconds. One partner starts off and tells the other their favourite food, their middle name and something they are scared of. They then swap over. They then ‘introduce’ their partner to someone else in the group, remembering all the things they listened to and remembered. How intently did they have to listen to do that? Did they really have to ‘engage their brain’ to listen carefully? If you have a confident child in the group ask them to talk to you about themselves – family, pets, things they like doing etc. As they start talking look away, fiddle with something on the table, maybe whisper to someone next to you – i.e. do things that show what being an inconsiderate/rude person does when they aren’t listening to someone who is talking. Then ask the child who was talking to you to explain how it made them feel. It is a good way to demonstrate how hurtful it feels when someone is actively NOT listening. Play a ‘back to back’ drawing game. Two children sit back to back and one explains how to draw a simple pattern to the other without saying what the object / thing is. Write the word ‘LISTENING’ in the middle of a large piece of paper. Ask children to surround it with post it notes – what words do you associate with the word ‘Listening’? Use their ideas to unpick the more subtle aspects of what listening involves. 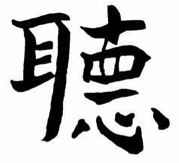 Chinese Symbol for “Listen” The Chinese have a symbol for Listening which is worth sharing. It is a visual reminder that we need more than our ears to listen. Our eyes are important, but also our undivided attention and our heart. Why do you think these are needed to “listen”? During a group session ask one of your more ‘vocal’ children to be the ‘Listening Observer’ and look out for signs of good listening in other children. They could have a clip board and every time they see a child being a ‘good listener’ they have to make a note of it. They then report back to the group at the end. Keeping them busy in this way usually makes them quieter themselves! You will still be a bit of a broken record – but hopefully not forever. Keep things positive and go for small steps of achievement. Over the course of last term – in fact just this week – I’ve had lots of chats with TAs about GRAMMAR. If you work in upper key stage in particular you will know that your need a good grasp of grammar to be able to support children’s reading and writing. Understandably, there are anxieties; feelings of being a bit overwhelmed and/or under confident about grammar subject knowledge and terminology. The booklet is made up of sections: Words, Phrases, Clauses, Sentences and Punctuation with step by step information and ‘Talking Points’ at the end of each section. It enables teachers and TAs to brush up on the parts of grammar they might feel a bit ‘shaky’ on. It can be done together at a staff meeting in small groups or individually. If this question was asked 10 years ago, the answer would be pretty easy. Find an open Teaching Assistant position in your local school and give them a call. Chances are you’ll walk into a job without any experience. Today, this couldn’t be further from the truth. The Teaching Assistant role has changed dramatically in recent years and these key members of classroom support staff have increased responsibility (but not pay, I should add). If there is one fact a TA-to-be should know is the role is hugely competitive now. With tight budgets and highly qualified candidates to choose from, many TAs are finding it hard to secure employment. Are there TA jobs in my local schools? It really depends on your area within the UK. Some schools are screaming out for TAs, whilst others are inundated with applications for each advertised post. That brings me onto the other factor. Years ago, there were no such applications to fill out for a TA role. You simply ‘walked in’ to a job without experience or qualifications. These days, application forms are the norm and they take time and practise to master. Many TAs are well experienced with the application form process – usually it takes a number of applications before one is successful. What about qualifications and skills? Qualifications are standard these days. 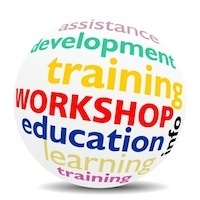 Local Education Authorities will have slightly different rules from one another, but they will usually ask for a QCF (Qualifications and Credit Framework), formerly the NVQ. There are varying levels. Level 2 is standard and level 3 will require solid experience. Within these levels is a varying degree of experience. The ‘Award’ is purely theoretical and gives the student a good understanding of the subject. The Awards are usually the basis of online courses (home study) as the course can be completed in the comfort of your home. The ‘Certificate’ is more thorough and you need to arrange a work placement or other relevant experience. The ‘Diploma’ is the most thorough and will require excellent experience and includes a number of units omitted from the previous two. Most LEAs will require a Level 2 Certificate at the very least and there are a number of suitable topics to choose from relating to Teaching Assistants. Once such popular topic is the Supporting Teaching and Learning in Schools. To obtain these qualifications, the would be Teaching Assistant will need to find a suitable course either in college or online. Even once qualified, the process of finding a TA role is tricky. There are plenty of online job boards packed with TA or SEN (Special Educational Needs) jobs, but salaries aren’t particularly high. The Government is currently considering changing the pay structure now that is acknowledging the hard work of classroom support staff. It is essential to research local school posts and the minimum experience/qualifications necessary before embarking on a course or applying for TA jobs. If you have a clear path to becoming a Teaching Assistant, it will minimise possible disappointment at the end. What should you do if you think a book is too difficult for a child? One way or another there are many children who find themselves with a reading book that is too difficult for them. There are lots of reasons why this happens including being ‘pushed’ up a reading scheme too quickly and ‘pushy’ parents who think that their child shouldn’t have a book that is ‘too easy’ (both of these are areas for separate discussion). I’m quite sure you have met such a child. They might be struggling at the decoding strategies – not breaking words down because they are too difficult, or finding the complexity of the sentences too challenging. These children are reasonably easy to spot. They are often quite stressed by the whole experience of reading. A simple way of reaching judgements about the suitability of text. If 90-95% read correctly, the pupil will need help top make full use of a passage at this level: this is the correct level for guided reading and reading tuition. If less than 90% correct, the passage is too difficult and an easier one should be found. Another way would be to ask a child to count the number of words they struggle with on the first couple of pages – if they use up all the fingers and thumb on one hand then the book is probably too difficult. However – there are lots of other children whose decoding isn’t too bad and they seem to be a ‘fluent’ reader. But they might not be understanding very much of what they are reading. If there is little comprehension, then a simpler text might be more suitable. If you think a child is really struggling – are you able to mention this and/or help the child choose a more suitable book? It needs flagging up. I see too many children struggling with books unnecessarily. Reading should be an enjoyable challenge – offering pleasure and small steps of achievement. We risk children being turned off reading altogether if their continual experience is one of struggle and frustration. I mean – would you keep doing something that you continually found tricky and made you feel like a failure?? It is often a challenge to think of engaging activities for group situations; ones that have a clear learning outcome as well. I always believe that if children are supported to think and talk in a structured way then learning is most likely to be taking place. These are a few ideas that could be used and adapted for small group/guided sessions – linked to literacy/speaking & listening outcomes. Play a short music track (music without words is easier). • Where can you see? • What colours do you think of? • Who is in your ‘picture’? • Imagine two characters in your place – how do they feel? • What is the body language between your characters? • What mood are they in? Then give children time to work in pairs and small groups to ‘swap’ stories. An extension to this might be to ask children to match a favourite piece of music to a picture book they know. They could have that music playing softly in the background as they read it aloud to a partner or a group of younger children. Quick fire questions to think and talk about: This requires children to listen carefully to each other, structure a proper ‘conversation’ and give clear reasons for their thinking. • What’s the worst thing you’ve heard this year? • What’s been the most waste of time? • What have been the most important bits of learning? Ask children to browse and choose a picture book they like. Give them time to properly practise reading it out loud – they need to pay attention to which pictures they will focus on and which ones to actually show their classmates. They will need to think about their expression – linked to punctuation, voices of characters etc. Then let children read their books aloud to each other – the ‘test’ is whether they entertain each other. Make up a large ‘feely bag’ with a range of random objects. Children have to put their hands into the bag and without looking, feel one of the objects in detail. Provide some strips of card. Children have to write down their top 5 five words on cards to describe what they have just felt. Ask another group of children to do the same but they are allowed to look at the objects as well. Compare the vocabulary from each group. Children have to think of some random things and write them on small cards (you could limit it to things they might see in school). Working in pairs, one child picks a card and reads it without their partner seeing it. Sentence Finishers – What kind of person are you? How well do children really know each other? • If I can see someone getting angry with me I…..
Children can make up their own sentence starters and you can have a constructive discussion about managing your own behaviour. You can ask them to ‘report back’ on their partner – what kind of person are they? Have they learnt something about them that they didn’t know before? Okay, so you have the relevant Teaching Assistant qualifications and/or experience, but you just can’t find any jobs. Maybe you’ve enlisted the help of educational job agencies or even relied on word of mouth to find vacancies, but you can’t seem to find roles in your area and every door is slamming in your face? I have a little secret I want to share with you and it only takes a few minutes of your time to set up. Heard of Google Alerts? Let me explain. Google Alerts is a nifty little tool which brings to you (usually via email) pages recently indexed in Google’s database. Google is finding new website material all the time and what you’re asking Google to do using the alert is to let you know when it finds content about a specific topic. You can specify exactly what search term you are interested in receiving information about i.e. Teaching Assistant jobs! Each time Google finds a new page with the words ‘Teaching Assistant jobs’ within the text, an email will be sent to you with the link. Typical websites which regularly add new pages for TA jobs are Reed, The Guardian, eteach.com, jobsgopublic.com, jobisjob.co.uk, jobserve.com, Total Jobs and even school websites! Instead of visiting each of these websites and searching for TA roles, simply create a Google Alert and let Google do the work for you. You will be prompted to add an email address where Google will send these alerts. Before you click ‘Create Alert’, have a look at the ‘Show options’ section. Depending on how general the search term is, you probably won’t want to receive alerts as they happen. I usually go for once a day, where the related alerts are grouped into one email. Leave as ‘Automatic’, but you may want to specify a source such as news or blog if you’re receiving hundreds of alerts which contain the search term you are using. Keep to the UK for the purpose of this example. Use ‘all results’ unless you are receiving alerts for spammy nonsensical websites. You can be more specific about the alert. 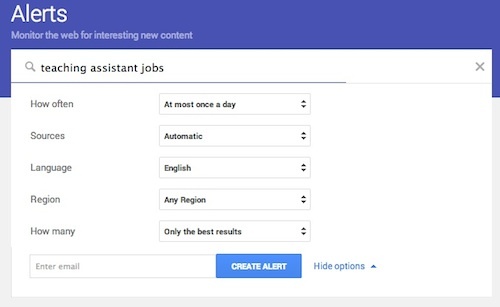 Say you want to create alerts about ‘Teaching Assistant jobs London’, bear in mind that websites may include TA roles in London, but may use a different title such as ‘Teaching Assistant jobs in Hounslow’. Don’t be too specific as you may miss opportunities. Today is National Teaching Assistants’ Day! Once again, Teaching Personnel are hosting National Teaching Assistants’ Day, always held on 16th September. The event last year was extremely positive and there was a significant amount of activity in local schools and news, as well as Facebook and Twitter. Teaching Personnel are hoping this year more schools will join in, celebrating hard working Teaching Assistants. In July 2014, Nicky Morgan was appointed Secretary of State for Education, replacing Michael Gove. “The government places great value on all staff in schools for the contribution they make to improving the life chances of children. When appropriately skilled and deployed, we acknowledge that TAs can make an important contribution to the development of children and the support of teachers in delivering teaching and learning. Portsmouth City Council are implementing changes to special educational needs and disabilities, and have put together a video about the challenges parents with special needs children face. The video discusses the assessment process, how stressful the current process can be, and hopes for the future. Portsmouth City Council have also provided a PDF leaflet to download.